Eugênio has been a choreographer since the age of 14 and the Artistic Director of Hodi Maputo Afro Swing since the start of the company in 2014. 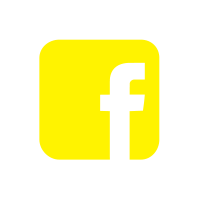 Dancing and singing was a natural part of Eugenios childhood and he was fast to develop. He started “Crianças da Paz” (Children of Peace) together with the Manhiça twins at the age of 12 and became the young choreographer of Wuchene at the age of 14. During his time as choreographer he has trained many of the members of Hodi Maputo Afro Swing when they were part of “Wuchene Junior” that he initiated to create future dancers. He has through the years put together choreographies with up to 50 dancers on stage, been part of producing many artistic pieces on major stages and has performed and choreographed in different parts of the world such as South Africa, Sweden, China, Germany and Brazil. Elias and Augusto are also known as “Gêmeos Manhiça” (the Manhiça Twins). They were born in a culturally rich family and started their first cultural group already in 2003 called “Crianças da Paz” (Children of Peace) where music, song and dance were inseparable. They soon joined the dance company Wuchene and later created Hodi Maputo Afro Swing where Elias now is the president and Augusto the musical director. 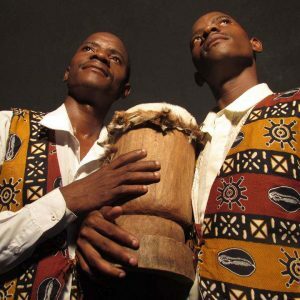 They are also the band leaders of Banda Hodi which is know growing in its popularity in Mozambique. During their career they have performed in Sweden, China, South Africa, Augusto in Brazil at ¨Festival Folclórico de Passo Fundo and Elias in New York at the Frankie 100 celebrations. Judite started dancing traditional Mozambican dances in 2007 with the dance group Manemba and has since then always been on the front foot to learn new dances such as contemporary, house, swing or hip hop. She has been a dance teacher for many years and started together with Eugênio Macuvel the project Lentes Ntsutsu. 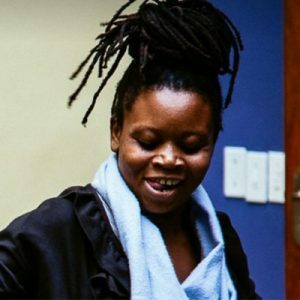 Having been one of the main dancers of Hodi Maputo Afro Swing, she has performed at international stages in South Africa, Sweden, Brazil and Germany. She has also participated at Herräng Dance Camp in Sweden, worked with contemporary dance with the international choreographer Horácio Macuacua and with other international artists. In Maputo she been running Marrabenta classes for both local and international dancers and inspires everyone in the room to enjoy their hips when moving. 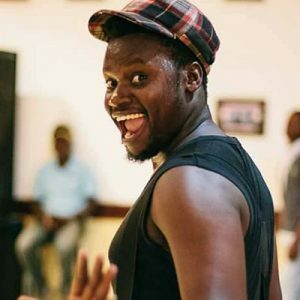 Victória started dancing in Wuchene Junior group at the age of 10 and has since then developed to become on of Hodi Maputo Afro Swing’s greatest dancers, having performed at many major events and festivals in Mozambique, Zimbabwe and South Africa. 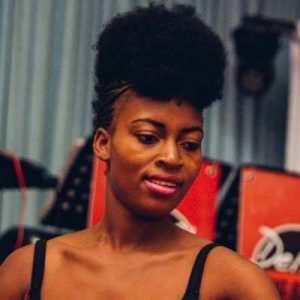 Victória is also experienced in Urban African dances and is now part of the National Dance Company of Mozambique where she has also brought her knowledge of Lindy Hop. Lisa Josefsson believes that dancing is that moment when there is nothing else in the world but your body, the rhythm and your partner. 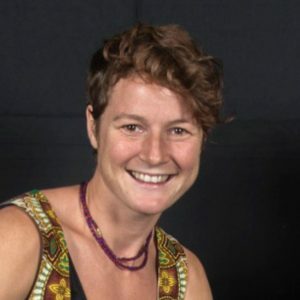 Lisa was born in Sweden but has lived in Mozambique for three years working with the dance company Hodi Maputo Afro Swing and is passionate about connecting traditional African dances and the African roots of African American vernacular dances such as Blues and Lindy hop that she has danced since 2006. In their original form all these dances were first and foremost an expression of an emotion rather than something created for the stage. Recognizing that, Lisa ‘s way of teaching is less focused on technique and more on rhythm, emotion and spiritual connection. Lisa now teaches Lindy Hop, Blues, Mozambican traditional dances, Africa Roots and has a class called “Shake it Lose” where she invites the participant to let go, feel the drums and connect with others. Lisa has taught at international international festivals in Sweden, Mozambique, South Africa, Brazil, Turkey, Belarus and Greece. I can't wait to dance with them! 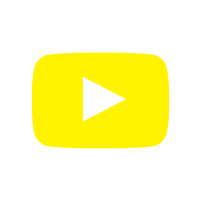 Are there parties?